Tim Holick founded Wood Palace Kitchens in 1979. 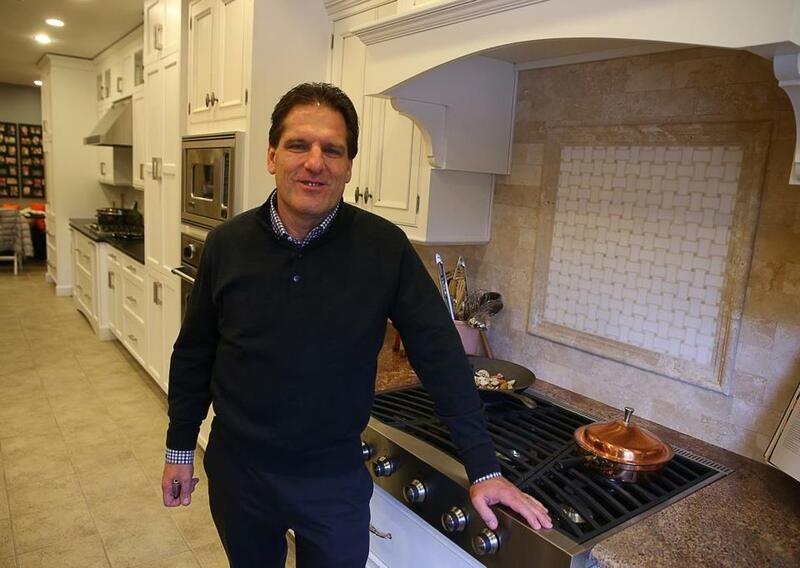 In 1979, Tim Holick founded Wood Palace Kitchens in Middleborough, a cabinetry distributor that also does installations, and in 2006 he bought Cornerstone Granite and Marble in Raynham. Holick, a Raynham resident, is a member of the Bristol-Plymouth School Committee. He graduated from Bristol-Plymouth Regional Technical School in Taunton in 1977. Q. How did the company start? A. In 1979 I decided to go into the Air Force. When I told my mother, she cried, so I decided not to. I started out making van furniture in her cellar, which was popular then. I decided on the Wood Palace Kitchens name because when I went to the bank for money, they needed a name. I made it up on the way. Q. How has the cabinetry business changed? A. There’s a lot more out there, so we have to know more about style and color; we design kitchens, and have to be up on what’s new. But dealing with people is the same, and now because of the Internet, they’re a lot more educated about what they want, and that’s good. We don’t want them to buy something they won’t like. Q. Did the recession affect your business? A. It was tough, but we made it. We employ seven, and do around $3.5 million a year. From 2000 to 2005, it was around $6 million, with 21 employees. We struggled during the lean times but never got behind on bills. Last year business grew by 49 percent, and this year will be around 30-40 percent. We knew it would come back around once the economy got better. Q. How often do you upgrade your own home kitchen cabinets? A. I usually sell my house before I need to; I buy and sell pretty quickly. We’ve been in ours for 13 years, but in the next couple of years, I’ll probably want something new. A. I have a talk show, “Food-a-Holick,” on WVBF radio in Taunton; I love food and cooking. And although I haven’t made furniture since 1997, I promised to make two desks for my grandchildren for Christmas.